Climate change may be the single biggest challenge that faces our planet today, and it can be difficult to approach this topic anywhere, let alone in a classroom setting. There are social and political challenges to navigate. Not everyone agrees about the causes, the scope, the effects, or the solutions. Science teachers are either hesitant to introduce this complex topic, or they feel unsure about the underlying science themselves. It can also be challenging to navigate and incorporate the related academic standards into a cohesive storyline or scaffolded curriculum. Fortunately, you don’t have to figure out how to approach this controversial topic on your own. 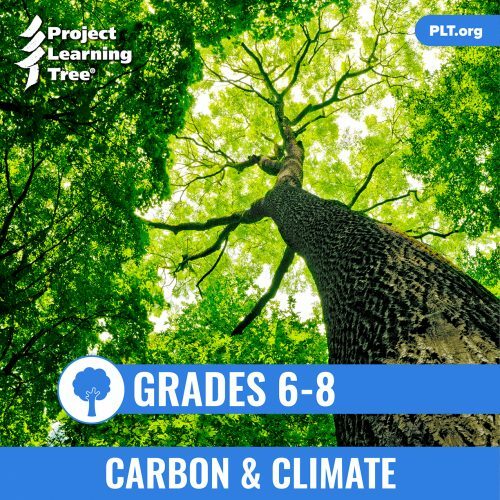 PLT has several resources for teachers to help middle and high school students develop the knowledge and skills needed to become informed and active participants in society’s climate change discussions. These PLT resources explore both the scientific and the social aspects of climate change. Each lesson is designed to stand alone, however, the more lessons students complete, the better they will understand the many aspects of a changing climate. PLT’s Carbon & Climate e-unit explores how climate affects living systems, the role carbon plays in climate, and what we can learn from past changes in the global climate. Unbiased and grounded in scientific facts, this unit helps students learn how to think, not what to think, about this complex issue. Three of the unit’s activities are described below, and you can learn more from our Carbon & Climate Overview. Students model the movement of carbon atoms in the carbon cycle and explore the relationship between atmospheric carbon and plants. Activity 3 – Is It Only Natural? Students explore factors that have caused climate change in the past, analyze carbon dioxide levels over time, and construct a claim, supported by evidence and reasoning. Activity 5 – Are You A Big Foot? Students use a carbon footprint calculator to analyze their personal contribution to carbon dioxide levels in the atmosphere and design a solution for reducing their carbon footprint. 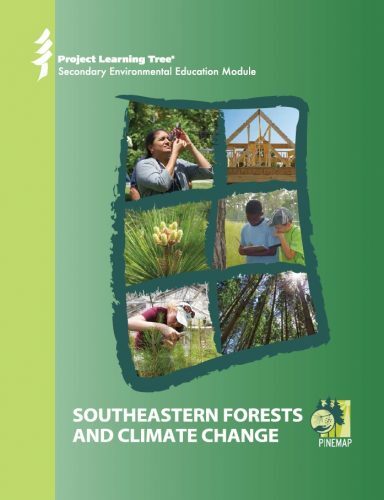 The Carbon & Climate curriculum can be purchased for $40 from shop.plt.org. Students learn about the scientific evidence supporting climate change, use this information to evaluate various perspectives people have about climate change, and participate in a role-play to negotiate solutions. 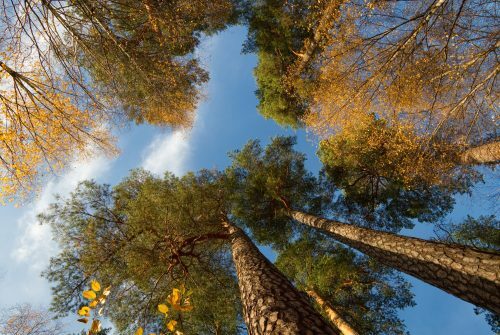 Students explore the connection between forests, climate change impacts and management strategies for creating resilient forests. Students draw these connections in a system diagram, a tool that helps them see the system. Students measure trees near their school and calculate the amount of carbon stored in individual trees. Students compare the carbon sequestration potential for land-use types in their state, compare this to the amount of carbon released by human activities, and then discuss forests’ ability to sequester atmospheric carbon. Through a simulated shopping activity, students learn about life cycle assessments and the potential impact of their consumer choices on the environment. They explore questions such as: What factors do we use to make decisions about the products we buy? What are the hidden environmental costs of everyday items? Who should pay for these hidden costs? This entire resource is available for free on PLT’s website. Sign in to your Account on PLT.org and “Select Free Curriculum”. Or if you are new to PLT, register to get access. Each of the 14 activities is accompanied by its own webpage, full of supporting details and additional resources. Each webpage includes a Teacher Tools section with a “tour” or overview of the activity, short videos to explain challenging concepts or current research, slide presentations, a check your knowledge “quiz,” and answer keys. While some activities are relevant nationwide, others can be easily adapted for your local landscape. Our website offers ideas and scenarios to successfully conduct such adaptations. Climate change has received much attention, and it remains a topic that invites much controversy. While debates continue, more and more scientists agree that our changing climate does have consequences for the earth and human activity. Teaching about our global climate circumstance is a challenging and delicate task. For starters, being too alarmist can lead others to ignore or deny warnings—or worse, lead to feelings of hopelessness and futility. Additionally, some climate change effects, such as melting ice caps or rising sea levels, may not be observable or relatable for many. But teaching about climate change can be rewarding, for sure. It engages all of us in understanding science, using math, applying technology, and integrating economics and justice—all while considering how we can approach the challenges of our shared future.